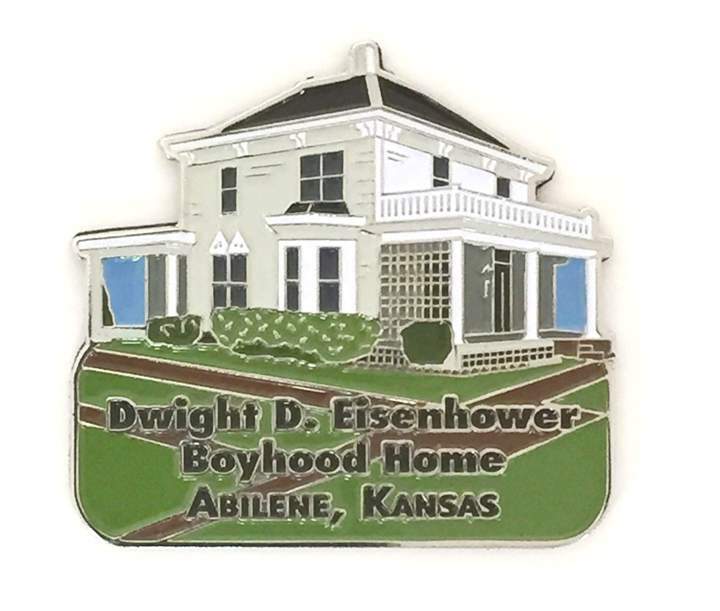 This is a enameled metal magnet that features a representation of the Eisenhower Boyhood Home which is located on the campus of the Eisenhower Presidential Library and Museum. It was in this house that Dwight D. Eisenhower lived with his family from the age of 8 to the age of 21, when he left for West Point. His mother Ida lived in the house until her death in 1946. 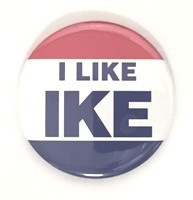 Earlier, the Eisenhower brothers and some Abilene townspeople formed the Eisenhower Foundation. The Foundation opened the home in 1947 as a Museum. 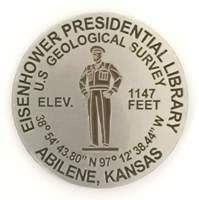 The magnet measures 2"w x 1-7/8"h.